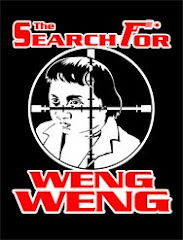 Many thanks to Simon Santos from Quezon City’s VIDEO 48 whose tireless efforts in researching Philippines cinema has unearthed all of the following Filipino ads, and in the process has confirmed the existence of FOUR forgotten Weng Weng films. Miracles keep falling from the sky... Cora Caballes' agent handed me a list of Weng Weng titles while I was at the ABS/CBN film archives in January 2008, and this one (along with a completely unidentifiable one, "Dugo May Umagos") was a mystery. I remember Weng Weng's brother told me his favourite WW film was "the one with Lotis Key". 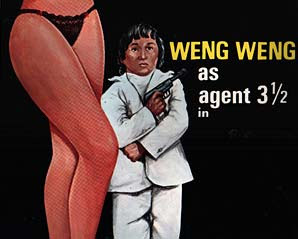 Digging through the Archives, I found cast and crew details, and we hit gold: confirmation of the earliest known Weng Weng appearance on film, this time released just after his 18th birthday. Until we find the movie itself, this is all I can glean of the film's details. 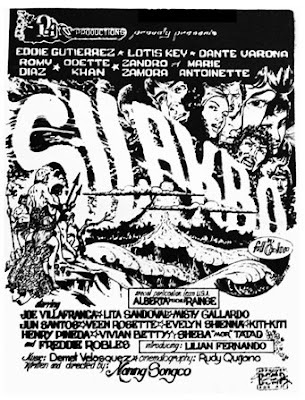 From appearances it's a standard Tagalog action film with then-popular stars Eddie Gutierrez, Dante Varona (later in Weng Weng's Agent OO), Lotis Key (girlfriend of Dolphy and star of many comedies AND kung fu films) and Romy Diaz (regular Weng Weng villain).